Home Applications Games Texas Poker 0.5 on your iPhone gives you a Chance to Win iPad Weekly! 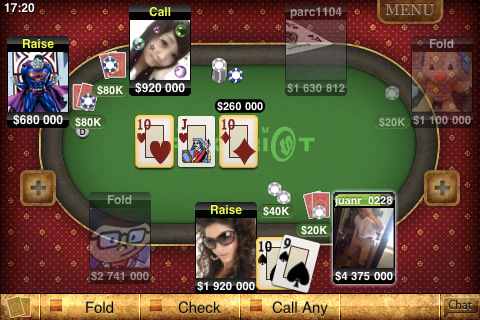 Texas Poker 0.5 on your iPhone gives you a Chance to Win iPad Weekly! The application is a club community of poker lovers getting together from around the world to play the intellectual and most challenging game, depending on a chance, experience and psychology. In a club community you can even talk about the poker and share your experience to others, involved in this passion game just like you. Additional information! For the promotion of their new release Kama Games are offering a weekly iPad giveaway, compatible with their running International Poker Days elections. Texas Poker is one of those apps destined for success, so win your iPad now it is your chance! Texas Poker 0.5 is Free and available worldwide exclusively through the App Store in the Games category.